More cost effectiveÂ Not only is a second-hand or used vehicle significantly cheaper than purchasing a new one, but the depreciation on a second-hand model is much less than a new one.Â When a vehicle moves off the showroom floor, it loses up to 15% of its purchase value, and for the first four years, it depreciates rapidly until it reaches about 50% of its original purchase value.Â This means that if you want to sell a new vehicle, you will get back less of your money than if you wanted to resell a used vehicle.Â Taking into consideration that four year old pre-owned bakkies and other vehicles are still relatively new, they are much more cost effective and provide better value for money in the end. Cheaper to insureÂ Second-hand vehicles are significantly cheaper to insure than new ones.Â Don’t be fooled if a new model costs relatively little â€“ you still have to factor in your insurance payments, and this brings up the total amount that you pay annually by quite a long stretch. High rate of durabilityÂ While it used to be quite risky to buy pre-owned bakkies ten years ago, developments in the industry have made vehicles significantly more reliable and durable in the long term.Â Studies have proven that there are now less engine and transmission problems in used vehicles than ever before, and this is largely due to better manufacturing processes and better materials and technology.Â This means that you can now buy the reliability of an almost new vehicle for much less.Â So, if you want to buy pre-owned bakkies, you can go right ahead with peace of mind. More sustainableÂ In order to remain environmentally friendly, we all make certain adjustments in our lives, and recycling and re-using are part of our daily lives.Â This should not change when it comes to vehicles!Â The better part of the carbon emissions that a vehicle produces during its lifetime occurs during the manufacturing process, and if you recycle a vehicle by purchasing a new one, it reduces the need for a new vehicle to be made.Â In the long term this could be a good thing! Safer than everÂ Vehicles that were made over the last five years already have all the desired safety features built in, and you don’t have to forego any of these if you buy pre-owned bakkies or cars.Â Years ago, we had to compromise on safety features such as ABS and airbags, but nowadays all vehicles are fitted with safety features according to the specifications of various professional standards and regulating bodies. If you need further convincing that buying pre-owned bakkies instead of new ones is actually better, we recommend that you come and talk to our floor managers at Bakkie Deals, and we will clarify it for you! Imperial Select gives you even more value, with our newly launched car service workshops that provide a range of diagnostic and repair solutions for new and used Kia, Mitsubishi, Renault and Hyundai vehicles across the country. For years, you have trusted our dealerships to find you the very best new and used cars in South Africa. Our newly launched service division will now give you the benefit of reliable auto repair to keep your beloved car in tune, year after year. Available to book simply and quickly online, our car service centres are found across the country in all major cities. Keep reading to find out why regular servicing is so important and why we aim to simplify the process through a fully inclusive service offering that covers all the basics along with everything you need to keep your vehicle in optimal driving condition. Why Do You Need Regular Car Service? Catch early warning signs. Over and beyond your scheduled service, it is essential to book a service if you notice any engine lights, warning lights or any other early warning signs that something is amiss. Comprehensive vehicle diagnostics from our team of vehicle specialists will help to identify potential problems right away. Check gearbox and clutch. If you are battling to change gears or you find that you have to press the clutch a lot further than usual, a service is highly recommended. This will help to make it easier to adjust your speed without any issues changing gear or engaging clutch. A slipping clutch will start to wear into the flywheel and pressure plate causing more damage, resulting in a more expensive repair and potential safety issues when trying to change gears at speed. Keep brakes in working order. Brake pads are one of the main components in a normal car's braking system and are crucial for vehicle safety. Worn brake pads can be deadly if left unchecked. It can be difficult for most drivers to check without professional help. A scheduled service will help to keep brakes in perfect order so that you are always able to stop when needed. Prevent worn suspension. Your car's suspension’s system is there not only for a smoother ride but to keep the vehicle in control on the road. This is therefore an important part of the vehicle to be checked and possibly replaced with high-quality parts by trained vehicle experts. Why Book Your Vehicle Service at Imperial Select? Over and beyond keeping your car in optimal working order, Imperial Select gives you complete peace of mind in knowing that our highly trained vehicle specialists are here to assist every step of the way. For many years, we have maintained a reputation for quality, helping people across South Africa find the best new and used cars from trusted brands. Our car service for new and used Hyundai, Kia, Renault and Mitsubishi vehicles brings you the same level of excellence, with designated service centres found in major cities throughout the country. Regular checks can go a long way in keeping your car in optimal running order, however, avoiding accidents and other problems, and ensuring that you enjoy your beloved ride for many years to come. Give your car the attention it deserves with comprehensive checks and servicing that you can always trust. 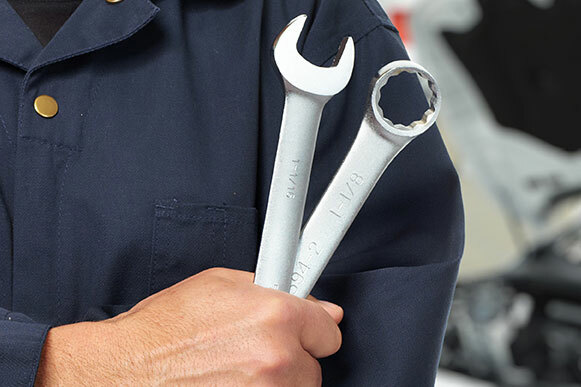 You can easily book a service online, for the benefit of a large team of skilled auto repair technicians, fully equipped workshops and top quality diagnostic tools. Whether planning a scheduled car service or looking for a trusted specialist to assist with a specific issue, we are standing by to help. Book your car service at Imperial Select today and let us help you get back on the road, safely, simply and quickly. 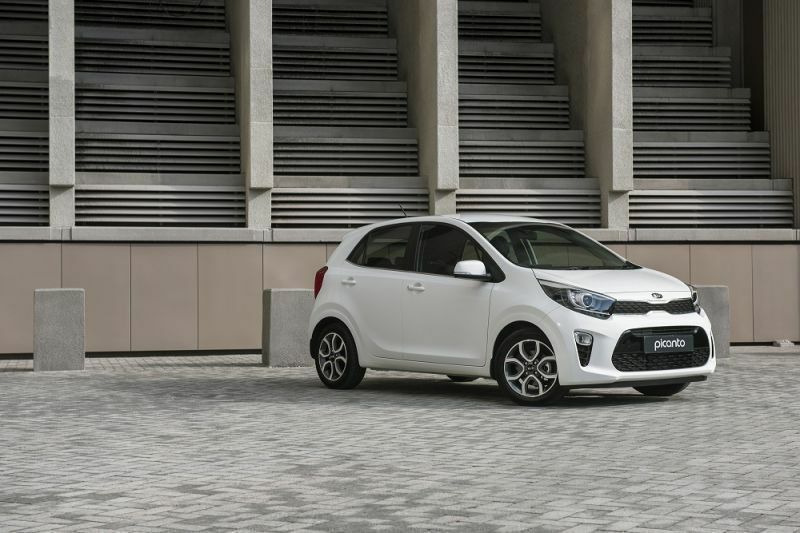 Kia Motors South Africa entered the A-segment market back in 2004 with the boxy Picanto, which if we are honest didn’t capture the market’s attention in quite the way the South Korean brand wanted. This changed with the unveiling of the second generation Picanto in 2011, which also resulted in global sales totalling 1.4-million units. Now though, there is a new Picanto and I travelled to Cape Town to find out if it has what it takes to remain one of the most popular Kia models to date. The first generation Picanto was a bit of a hit and miss in terms of styling. The second generation however featured a more youthful yet modern design which seemed to be just what the public wanted. This new model builds on that with a seemingly more mature design, the result of a collaboration between Kia’s design centres in Namyang, South Korea and Frankfurt, Germany. The front end features strong, straight lines which run horizontally across the front of the car There is also the trademark tiger-nose grille and new headlights as well as a distinctive line down the side and around the wheel arches. At the rear, the Picanto features a revised bumper and taillights. The engineers have also increased the width of the C-pillar which now stands more upright than that of the previous model. When I got into the Picanto, I was impressed with the layout of the dash. I immediately got a sense that Kia were trying to play the premium card. This is due to the stylish design of the dashboard which features a snazzy satin chrome-effect strip, the new top mounted infotainment screen and nicely designed climate control dials. The instrument cluster also features a more up-to date look with the same going for the steering wheel. As mentioned, one of the cabin’s standouts, on high spec models that is, is the seven-inch touchscreen infotainment system incorporating Bluetooth, USB and Aux inputs, as well as Apple CarPlay and Android Auto. Lower spec models make do with a 3.8-inch monochrome TFT LCD display. On the launch, I got the opportunity to put the Picanto through various scenarios which included navigating the narrow streets of the Cape Town CBD, as well as heading out into the wine lands to fully exploit its talents. There are two engine options available a 49kW/95Nm 1.0-litre three-cylinder and a 61kW/122Nm 1.2-litre four-cylinder. While they might not be the most powerful motors around, the Picanto does weigh less than the previous model, with the former motor also benefitting from a new cooling system and shut-off valve. All models are fitted with a five-speed manual gearbox as standard with a four-speed automatic optional on some versions. At launch, the Picanto will be available in a choice of four trim levels mimicking those of the Soul. The base Start gets a two-speaker Bluetooth enabled sound system with USB and Aux inputs, trip computer, dual front airbags and air-conditioning but importantly, does not feature ABS while the next step up Street receives front electric windows, remote central locking and ABS. Building on this, the Style adds a four-speaker sound system, steering wheel audio controls, projection type headlights with daytime running LEDs, 14-inch alloy wheels and automatic lights. At the top of the range, the Smart benefits from 15-inch alloys, Bluetooth with voice activation, electric rear windows, bi-projection headlights, the aforementioned infotainment system, leather wrapped steering wheel and gear knob, reverse camera and rear parking sensors. After spending time with the new Kia Picanto, I can conclude that it remains an attractive option within the A-segment. I like the styling, the features and the range of new colours. I also found the ride and handling impressive considering its size. It’s no high speed cruiser though and did feel a bit out of its comfort zone when rushed. Considering one? I would, especially when the price remains virtually unchanged from the previous model. A five-year / unlimited km warranty is standard across the Picanto range with a service plan being optional. Kia has topped the J.D. Power Initial Quality Survey in the United States for a second time with the least number of problems per (PP) 100 vehicles experienced during the first 90 days of ownership. With an industry average of 97 PP100 vehicles, the Korean auto giant came out ahead with 72 PP100 followed by sister brand Hyundai's Genesis luxury division (77 PP100), Porsche (78 PP100), Ford (86 PP100), Ram (86 PP100), BMW (88 PP100), Chevrolet (88 PP100), Hyundai (88 PP100), Lincoln (92 PP100) and Nissan (93 PP100). Aside from the Forte (Cerato), Soul, Sorento, Cadenza, and Niro hybrid coming out tops in their respective segments, other winners include the Chevrolet Silverado 1500 and Silverado HD, Chevrolet Sonic, GMC Terrain, BMW 2-series, 4-series and X6, Mini Cooper, Chrysler Pacifica, Ford Expedition, Ford Mustang, Infiniti QX80, Lexus GS, Mercedes-Benz GLA, Nissan Frontier (Navara), Porsche 911 and Macan, and the Toyota Camry. "Automotive manufacturers are responding to consumer feedback and producing vehicles of the highest quality. The industry has improved significantly in each of the past three years. Today’s vehicles have more things that could go wrong but fewer things that actually do go wrong," J.D. Power Global Automotive Vice President, Dave Sargent, said. The survey also noted a significant improved compared to 2016 with a record eight percent improvement in customer satisfaction, and 27 of the 33 brands surveyed bettering their overall quality. Highlighted problem areas are driver assistance system such as Adaptive Cruise Control, Lane Departure Warning, Blind Spot Warning and Collision Avoidance Alert, as well as certain infotainment display system. Out of the worst performing marques, Fiat come in last with 163 PP100 in front of Jaguar (148 PP100), Volvo (134 PP100), Mitsubishi (131 PP100), Land Rover (131 PP100), Mazda (125 PP100), Audi (115 PP100), Subaru (113 PP100), Jeep (107 PP100) and Infiniti (107 PP100). 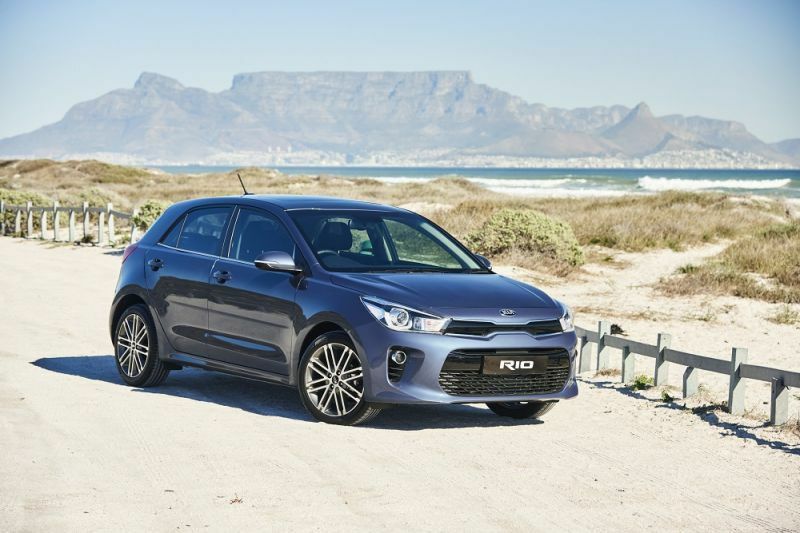 The Kia Rio has been a phenomenal success for the South Korean brand within the local automotive market, although this was not always the case. The first generation model graced South African shores at the turn of the century, and was a rather forgetful but dependable econobox. 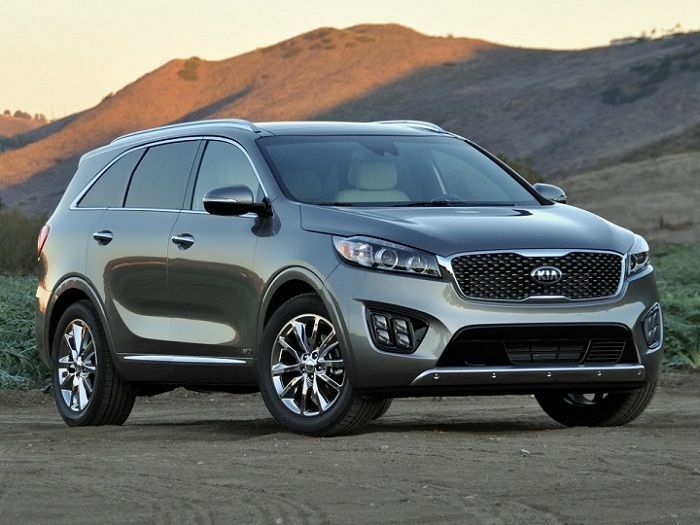 The second generation was better, but failed to capture the sales figures Kia were looking for. But, in 2011, South Africans were introduced to the third generation Rio, an all-new product with a design language that appealed to the masses. Some 37 237 local unit sales later, the third generation has been replaced by the fourth iteration, which I drove in Johannesburg recently. The latest Rio certainly demonstrates the newfound maturity of the Kia brand first seen in the latest Sportage. We now have a car with a more grown-up, upmarket exterior design. While not the most radical of departures from its predecessor, I feel that consumers will still get the idea that this is most certainly a new model. Up front, we see an evolution of Kia’s signature Tiger Nose grille, which is now slightly shorter and thinner. There are also new headlamps and U-shaped daytime running lights. The side profile is typically hatchback and at a glance, could be something more premium, more German, which is a good thing. At the rear, there are new LED taillights that benefit from an arrow motif, while keen observers will note that the rear overhang is a bit shorter than before. Overall, the Rio continues to display the brand’s successful interpretation of modern motoring design with aplomb. For those accustomed to Rio interiors of old, the new model is not likely to surprise, particularly in the entry-level models. The basic ergonomic layout is commendable, with all of the controls and their placement being easy and logical when put into practical use. Kia also claims that there are new, improved materials used throughout the cabin, but expect the odd hard plastic surface to linger. The big change to the interior though has to be the inclusion, or option should I say, of a touchscreen infotainment system. There are three options within the range the more basic models get a 3.8-inch mono-TFT screen with Bluetooth, USB and Aux compatibility. Moving up the range, we have a five-inch colour touchscreen unit with the same features as the mono-TFT, while flagship models receive the brand’s new seven-inch touchscreen setup complete with Apple CarPlay, Android Auto and voice control. The top-line system really improves the look of the cabin and modernises the facia, a useful option worth ticking. In terms of the powertrain department, Kia has decided to stick with the more tried and trusted variants, with the much anticipated 1.0-litre turbo mill still under consideration for South Africa. Instead, we get mildly revised versions of the 1.2 and 1.4-litre naturally aspirated petrol motors. The entry-level unit produces 62kW/120Nm through a five-speed manual gearbox, and the 1.4-litre 74kW/135Nm with transmissions consisting of a six-speed manual or four-speed automatic. I drove the top-of-the range 1.4-litre manual TEC derivative at launch up at altitude. I have to say that the car does feel rather underpowered most of the time, add a hill into the equation and the problem is compounded. That said though, it wasn’t frustratingly slow with the lack of power being made-up somewhat by very little road noise and a good level of interior comfort, two traits buyers in this segment want, along with low costs and fuss-free motoring, which the Rio delivers. While Kia hasn’t really re-invented the wheel, so to speak, with the new Rio, it didn’t really have to. The updated looks, improved quality, added interior technology and the fact that the new model is similarly priced to the older version, will likely ensure that this generation Rio is as successful as its predecessor. All Rio models come with a four-year/60 000km service plan as well as a five-year/unlimited mileage warranty. 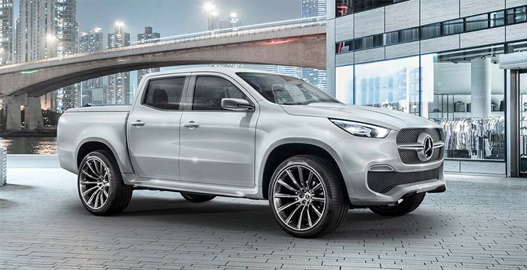 Premium German automaker Mercedes has announced the arrival of the Mercedes X-Class unveiled in Stockholm in October. Set to be launched in South Africa early in 2018, the X-Class will be the first Mercedes-badge bakkie to be sold in South Africa since 1955. The double-cab Mercedes will be available in two trims the design-focused Stylish Explorer and its rugged brother, the Powerful Adventurer. Each offers its own set of credentials with architecture based on Nissan’s Navara, but everything else distinctly Mercedes. The X-Class will offer power a plenty with its headline act a 3.0-litre V6 diesel engine mated with the company’s all-wheel drive system. Two other engines will be available a smaller 2.3-litre four-cylinder turbodiesel and a 2.5-litre four-cylinder petrol. Power figures have yet to be revealed. Drivetrains on offer will be a manual and a 7G-Tronic automatic. Not bothered by the idea that a bakkie should be rugged throughout, Mercedes didn’t hold back on fitting the X-Class with a classy interior. The Stylish Explorer boasts dual-tone leather while the Powerful Adventurer boasts carbon-fibred elements. 'Nubuck' leather is used to trim the seats and dashboard in addition to contrasting white nappa leather. Cameras, radars, ultrasound sensors and driver assistance systems will enhance safety and comfort. The popularity of the X-Class will come down to whether South-Africans would buy a bakkie with leather seats and a designer dashboard. 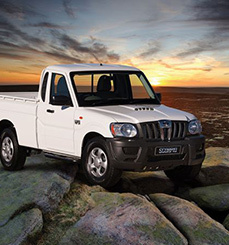 The X-Class could be a hit with city dwellers, but whether a Karoo farmer would buy one remains to be seen.